DessertBuzz: What country has better desserts France or Italy? Fabio Viviani: What kind of question is this ??? Don’t they teach you at school that France did learn the basic nouvelle cuisine from the knowledge about country rustic Italian food that the Italian Queen in charge at those times in Italy one day all suddenly decided to go at the court of France and get married ??? Italy!!!!! DB: Favorite Italian and non-Italian dessert? DB: You were voted the fan favorite in season five, did any of the contestants reach out to you for advice on how to charm the judges or viewers? FV: Yes I was Fan Favorite… I guess America sometimes does make mistake!! I didn’t talk in particular with anybody in the Top Chef:Just Dessert cast. I think these guys have enough personality to be just fine without my advice- Lol! DB: Who do you think has had some impressive looking desserts so far? DB: I recall you got pretty stressed out in season 5 but none of you ever had a breakdown like Seth Caro did in episode 2 (the red hots are for my mommy!) What was your reaction to that scene? DB: What chefs are you looking forward to squaring off against in Top Chef: All Stars? FV: Spike…. he better bring a helmet, Marcel, look forward for that. And myself, I will be the only shadow standing in my own sunshine. DB: What restaurants do you like to eat at when you come to New York City and what desserts do you like from those restaurants? FV: Gramercy Tavern the Tapioca Coconut Pudding [by pastry chef Nancy Olson] is to die for…actually I love dessert but I get bored really fast eating them, that’s why I tend to take BIG bite… lol! 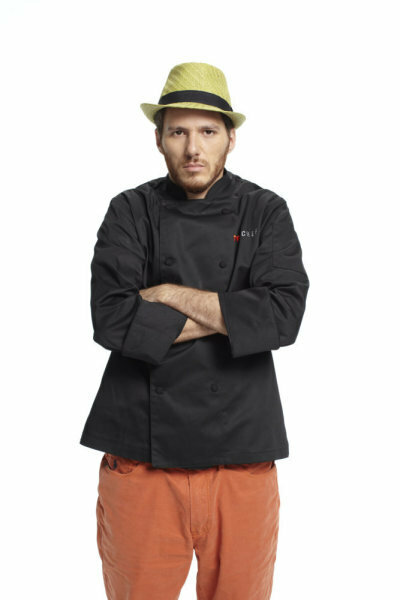 DB: Stephan was the closest thing to a villain in season 5. Who do you think is headed that way on Top Chef:Just desserts? Would it be Morgan? FV: Limoncello Cheesecake and Caramel Gelato….. but I worn [sic] you, once you have BOTH, you’ll never like any other dessert….. act accordingly! We’ll be checking back in with Viviani as the season progresses. 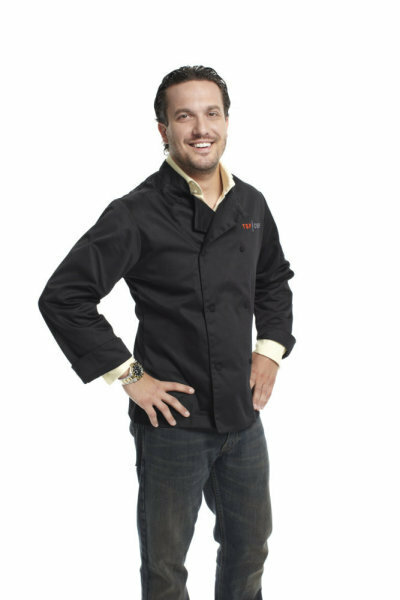 Fabio Viviani can be seen December 1 on Top Chef: All Stars. He is the owner and Executive Chef of Firenze Osteria (NoHo) and Cafe Firenze (Moorpark) both in LA. Man, DessertBuzz really is the center of the NY dessert world! I’m impressed by all these interviews you get. 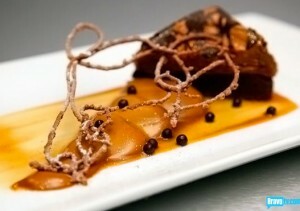 dessertbuzz » Blog Archive » Top Chef: Just Desserts episode 5 recap – who eats lettuce for dessert?